I would suggest Baleno Delta, its an all roundr , and a really comfortable vehicle, with better safety aspects. Q. 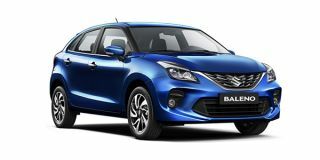 What are the specification for Maruti Baleno? Q. Most probably I am going to type a awkward question, but I am in a confused mind that which car to buy. My main problem is that my wife and daughter feel uneasy inside of a car when the AC is on, but when the interiors are bigger they feel OK. My budget is 6 to 7 lakh. I shortlisted 3 cars, Swift, i20 and Baleno. The car will be self driven. Comfort, good ride quality, music are our priorities. So which car to buy and which variant? Q. I want to purchase Baleno Delta Please let me know about the car specifications.